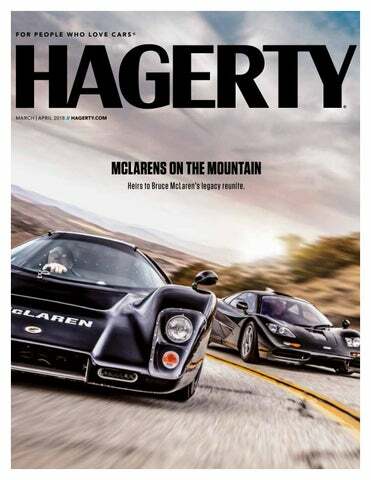 MCLARENS ON THE MOUNTAIN Heirs to Bruce McLaren’s legacy reunite. T H E S E R V I C E D E P T. RPM: Restoration. Preservation. Mentorship. T H E S E R V I C E D E P T. RPM: Restoration. Preservation. Mentorship. SMS is an upholstery lover’s dream, with rack SMS is an after upholrack of materials stery lover’s dream, for nearly every with rack after domestic under the rack of materials sun.nearly It’s the perfect for every place for Peters to domestic under the spend days. sun. It’shis the perfect place for Peters to spend his days. RPM Foundation provides scholarships, formal RPM Foundation training, provides and scholmentorship to the arships, formal next generation of training, and automotive and mentorship to the marine restorers of next generation and preservationautomotive and ists. Learn more at marine restorers rpm.foundation. and preservationists. Learn more at rpm.foundation. felt his career clock ticking. All this time, Peters had more than a casual interest in clasfelt his career clock thishis time, Pesic cars. He grew upticking. workingAllwith father tersthe hadfamily’s more than casual interest in aclason 1972a Chevelle Malibu, car sic cars. Hetogrew working his father they took localupshows andwith cruise-ins. At on family’sa1972 Malibu, 23, the he bought 1969Chevelle Ford Galaxie 500,a car his they took topurchase local shows andworking cruise-ins. At first major while at the 23, he bought a 1969 Ford Galaxie 500, his hospital. first“I major purchase at the restored that carwhile by theworking paycheck,” Pehospital. ters says, and estimates he spent $30,000 “I restored that car by 10 theyears. paycheck,” Pefixing up the Galaxie over Throughtersthe says, and estimates spent $30,000 out process, he had nohe idea you could get fixing up in theautomotive Galaxie over 10 years. Througha degree restoration. out the process, he had no idea you could get a degree in automotive restoration. 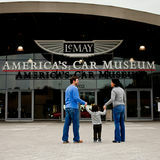 The RPM Foundation is an entity of America's Automotive Trust.